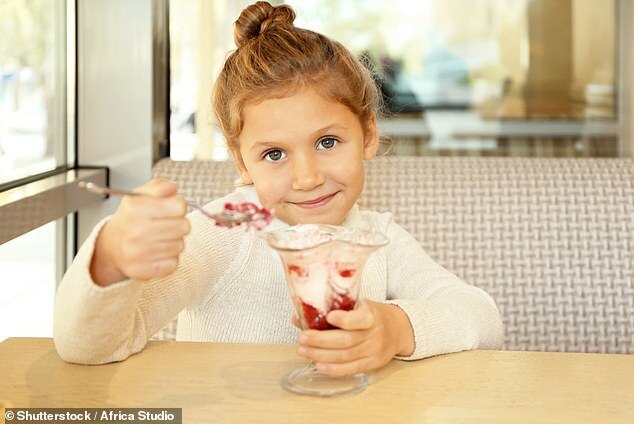 Restaurants should be banned from offering children unhealthy desserts as part of fixed-price menus, leading doctors have said. The Royal College of Paediatrics and Child Health said stopping the practice could help curb soaring rates of childhood obesity. Free treats offered by restaurants as part of menus can include ice creams, cakes, and other sweet treats. One third of UK children aged two to 15 are now categorised as overweight or obese, according to Public Health England figures. Almost two-thirds (64 per cent) of chain restaurants offer a fixed-price menu in which a dessert is included, according to a survey by the Obesity Health Alliance in February. Some 87 per cent of the desserts offered were unhealthy. Some did, however, offer fresh fruit.